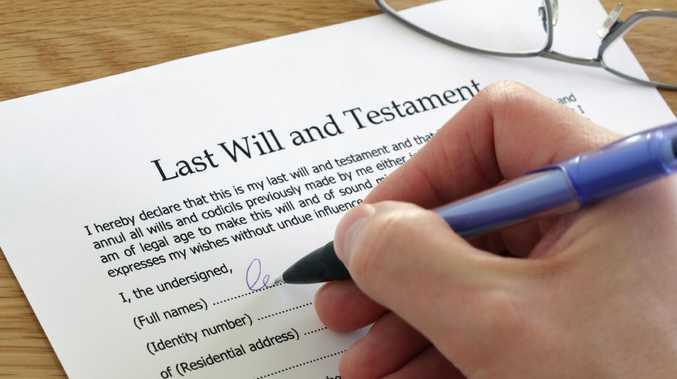 A SYDNEY man has clawed back $75,000 from his deceased mother's estate despite her explicit wish in her will that he "receive no financial benefit" after abandoning her during a lengthy battle with illness. The NSW Supreme Court last week ordered the man's brother pay out the "modest" family provision order from the $1.1 million inheritance - well below the $450,000 he was seeking - ending a messy and expensive family dispute. The woman, who died in November 2016 at the age of 83, wrote in her 2010 will that "it is with a heavy heart and after much soul searching" she had "categorically" decided her estranged youngest son and his wife should be left with nothing. Her husband, who died in 2012, made similar statements in his will that he did not wish them to "receive any benefit from my estate". She left her two grandchildren $20,000 each for when they turned 25, to be distributed by the eldest son. She described how her youngest son was "always very close to me" until his marriage, after which "he effectively lost contact with everyone". She said he and his wife cut her off from their children, causing her "considerable ongoing heartache". "During the past 10 years, my husband has had ongoing poor health, quadruple bypass surgery, kidney failure and Legionnaires' disease to name a few … and I have experienced periods of ill health of my own, including suffering Bell's palsy and now I am in early stages of Alzheimer's disease," she wrote. "We have been extremely disappointed during this period in particular that (he) has never been of any support or comfort to us, leaving our other son to take care of us on his own. Nor has he made any effort to allow us to spend time with our grandchildren." She put much of the blame on the man's wife for driving a wedge in the family. He disputed this, writing in a letter to his mother in 2002 that "you made it sound like everything was fine between us up until this 'separation' as you call it". "To be quite honest, I'm tired of trying and have accepted that things are better this way, and suggest that you do the same," he said. "I think it is best for everyone if we all get on with our own lives. Please respect my request." The court heard that in 2012, after the death of his father, the man told his wife that his mother had sexually abused him as a child from the ages of seven to 11. He claimed he was "touched inappropriately in a bedroom setting". With the "encouragement" of his wife he began seeing a psychologist in 2015. In an affidavit, she said her client reported having "struggled with the relationship with his mother through the years because being around her triggered painful feelings and emotions". The older brother said he had no knowledge of the allegations prior to the court case, and that he did not believe they were true. Justice Geoff Lindsay said he did "not exclude the possibility that he was abused, as he says, but neither am I comfortably satisfied that he was". "There is no evidence that any allegation of sexual abuse was ever put to the deceased," he said. "As best we can tell, she went to her grave without knowledge of any allegation of impropriety against her." The man and his wife, who own their own home valued at $975,000, told the court they needed the money to help pay down a $400,000 mortgage, which they had taken out to pay for home renovations and a new car. They said their debt situation was partly due to their "regular overseas travel as a family unit". The man also cited a need for an income supplement so he could reduce his working hours, a fund "in lieu of non-existent retirement savings" and "for contingencies in life". Justice Lindsay said while the woman's will "speaks powerfully against any provision being made from her estate" to her youngest son, there were a number of factors which qualified him for a family provision order. He said the mother's views were "uninformed by knowledge that, rightly or wrongly, he was harbouring a resentment against the deceased based upon a belief that she had abused him". 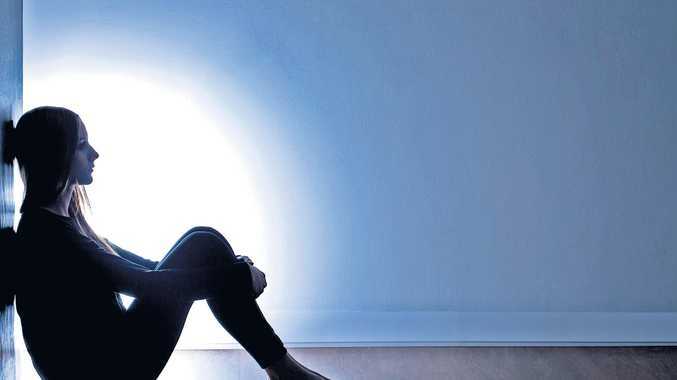 "Despite her negative assessment of the plaintiff's relationship with her, and her emphatic rejection of any testamentary provision for him, her explanation of her motives in making no provision is as much a 'cry from the heart' for a lost relationship as it is a criticism of the plaintiff and his wife," he said. "In stating that she was 'unable to understand' why the plaintiff had 'chosen' to ostracise her, in recording that she 'would love to have the opportunity to spend regular quality time' with the plaintiff and her grandchildren, and in expressing extreme disappointment with a lack of support or comfort from the plaintiff, the deceased was affirming her ongoing affection for the plaintiff, not unequivocally repudiating him." Justice Lindsay said the court "must endeavour to place itself in the position of the deceased". He found that upon "viewing the totality of the relationships", the mother's disclaimer was "not an absolute bar to the making of a family provision". Weighing against granting a significant payout was the mother's "deliberate" wish to write him out of her will, and the financial needs of the older brother in caring for an autistic child. The $75,000 was "commensurate with his limited relationship with the deceased". Inviting submissions about costs, Justice Lindsay expressed "disquiet" about the size of the legal bills racked up by the plaintiff and his brother of $160,000 and $140,000 respectively, noting they were "disproportionate to the outcome of the proceedings". "Had the plaintiff had a consistent, supportive and loving relationship with his parents - more particularly, his mother - throughout his life he would have a greater claim to his mother's bounty than he now has," Justice Lindsay said. Shine Lawyers wills and estates expert Tracey Ryan said challenging wills was "messy", but the legislation was "quite strict". "You have to show you haven't had 'adequate maintenance support and provision for the advancement in life of a person'," she said. Ms Ryan said there was a common misconception that contesting wills - which only happens in around 10 per cent of cases - was unfair. "Fair is such a subjective concept," she said. "The starting point is your mother or father, whoever it may be will make a will, it is then for a court to decide whether that was appropriate in all the circumstances. Every case will be different because family structures are different." The general legal principle is that people should provide for their families. "People come to me sometimes and say, 'What is the point of doing a will if someone can challenge it later on?' But without a will you have no say," she said. "It's the first starting point." She argued the legislation was written to protect both sides when "things that have happened aren't right". "On occasion a client will come in and say, 'I want to change my will. Johnny didn't visit me last week.' People can be written out of a will over one small incident," she said. "What we always say is make your will, provide us with any evidence as to why you aren't making provisions for someone. Often you'll have a clause as to why, or a separate affidavit - because unfortunately the deceased can't speak for themselves after they're gone."